Today on the podcast we welcome special guests Doug & Mary Ann Hacking. Doug Hacking is a former pharmaceutical sales representative and works as a pharmacist, adjunct faculty, and relational consultant. He has over fifteen years of professional teaching experience and has devoted over twenty years to researching, practicing, and creating his Relationship Resonance system. Doug’s new book Relationship Resonance is a relationship model designed to help you improve your relationships. Relationship Resonance works for any type of relationship: personal, professional and spiritual. It has allowed me to become a better friend, relative, spouse, father, boss, employee and disciple. Doug’s mission is to make the world a better place, one relationship at a time. 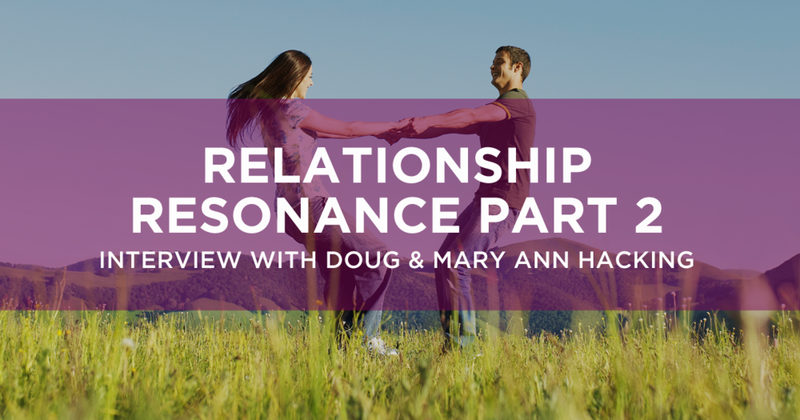 Doug & Mary Ann join Dr. Kim today as they talk about Doug’s new book “Relationship Resonance” and the last three components of his Relationship Resonance system. Tune in below to learn more about relationship resonance! You can read more great insights from Doug on his blog. Purchase ‘Relationship Resonance’ here. You can also follow Doug on Facebook.